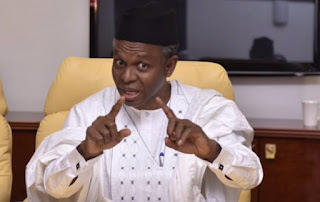 The Kaduna State Governor, Mallam Nasir El-Rufai, has attributed the killings and destruction of communities in Kajuru Local Government Area of the state to reprisal attacks. The governor urged the communities to stop taking the laws into their hands for peace to reign. He spoke yesterday when he visited one of the Internally Displaced Persons (IDP) camps in Mararaban Kajuru. Samuel Aruwan, spokesman of the governor, said in a statement that after visiting the IDP camp, the governor urged all communities in the state to reject an eye-for-an-eye stance in resolving differences. The statement said the governor was saddened by the situation in Kajuru. The statement quoted the governor saying: “What we saw is unfortunate, but we must speak out and tell our people the right thing to be done. “Our admonition, is simple. If Fulani or Adara communities have complaints of killings or attacks, they should report and allow security agencies and government to take up the administration of justice.